these instruments have always been coveted treasures, found mostly in the hands of noble houses, rulers and soloists. Today, while these instruments are no longer affordable for musicians, they are usually made available to soloists by investors and can still be heard on the world’s major stages. Giovanni Battista Guadagnini (born in Bilegno in 1711, died in Turin in 1786) is one of the most important violin makers of his time. His creative periods are divided into 1740-1749 Piacenza, 1750-1758 Milan, 1758 Cremona, 1759-1771 Parma and finally 1771-1786 Turin. In addition to the Stradivari and Guarneri models, G.B. Guadagnini’s model is also used by many contemporary violin makers. Especially in recent years, his instruments have experienced an enormous increase in value and are now highly sought after as an asset class. Probably the world’s most famous violin makers, Cremona’s Antonio Stradivari and Giuseppe Guarneri del Gesù make up a class of their own in the world of stringed instruments. If an exceptional instrument is placed in the hands of an outstanding musician, the result is more than just music. The instruments made by the hands of A. Stradivari and G. Guarneri del Gesù represent the peak of this craftsmanship, stirring the senses and drawing listeners into another world. Even during the masters’ lifetime, these instruments were something special and expensive; also today they are of great art historical significance. With an annual appreciation of up to 23%, these expertly crafted instruments represent the peak of the investment possibilities for stringed instruments. The best known example for this is the auction of the violin “Lady Blunt” by Antonio Stradivari from the year 1721; in the summer of 2011, it changed owners for approximately 11 million Euros. The extraordinarily beautiful and inimitable sound of these instruments, combined with the low level of availability on the market, offers the investor higher-than-average annual returns. With its excellent international network, VIOLIN ASSETS enables interested parties to invest in this instrument class as well. A sensitive, discreet transaction is then of the utmost importance for all the parties involved. With the investment model it has developed, VIOLIN ASSETS has been able to show that in addition to the two great luthiers from Cremona, A. Stradivari and G. Guarneri del Gesù, there are also other masters whose works are suitable for investment. From 19th century France, it is the instruments made by masters such as A. S. Ph. Bernardel, P. Pacherel, H. C. Silvestre and J. B. Vuillaume that deserve particular attention. With an annual appreciation of up to 23%, these expertly crafted instruments represent the peak of the investment possibilities for stringed instruments. As the cradle of the golden age of violin making, Italy has not only produced the two best known masters, but also in the 18th century significant names such as C. Bergonzi, G. Grancino, G. B. Guadagnini, P. Guarneri and G. Guarneri filius Andrea, D. Montagnana and F. Rugeri. From the 19th century, it is especially G. A. Rocca, G. F. Pressenda and L. Ventapane who have distinguished themselves through their special quality and whose instruments constitute an attractive investment with average returns of 8%. In the 20th century, modern Italian violin making produced a large number of exceptional instruments. Particularly in the first half of the century, contemporary luthiers such as Hannibal Fagnola, Giuseppe Ornati, Carlo Giuseppe Oddone, Leandro Bisiach and Gaetano Sgarabotto created extraordinary pieces. The independent works of masters of the present such as Francesco Toto, Davide Sora, Alessandro Ciciliati, Silvio Levaggi and Kolja Lochmann feature an individual, recognizable style. The high esteem for modern instrument making also finds expression in the double-digit performance averaged by such instruments. The independent works of masters of the present such as Francesco Toto, Davide Sora and Alessandro Ciciliati feature an individual, recognizable style. The high esteem for modern instrument making also finds expression in the double-digit performance averaged by such instruments. Davide Sora’s main focus is on the making of new instruments. He has been teaching at the violin making school in Cremona since 2000. Francesco Toto was born in Lecce, Italy, in 1972. He received a diploma at the “G. Pellegrino” institute for art in Lecce when he was just 18 years old. His studies took him to Cremona in 1990, where he attended the International School of Violin Making. Since 1996 Francesco Toto has worked in his own atelier in the heart of Cremona. He is a member of the Cremonese “Antonio Stradivari” Violin Makers’ Consortium and of the “Violin Society of America”. Toto has won a considerable number of awards at international competitions. 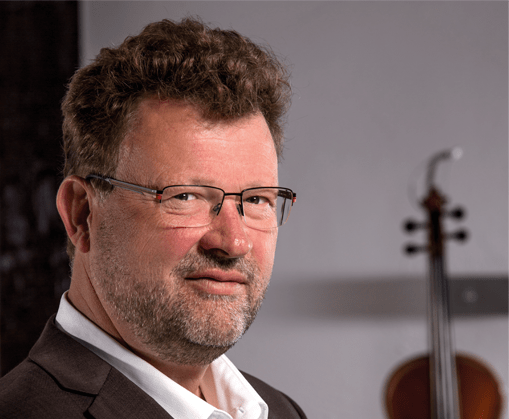 In 2001 he received 3rd prize for a cello at the international violin making competition in Mittenwald. In 2003 he won 4th prize in the cello category at the international competition in Cremona. He was awarded 2nd prize for a cello at the competition in Mittenwald in 2005, and won 1st prize at the “Triennale” in Cremona in 2006. Alessandro Ciciliati was born in 1959 in Ferrara, Italy. Having completed his studies in art and double-bass, he began learning the art of violin making and restoration in 1977, studying with Ivano Coratti for four years. From 1984 to 1994 he took part in numerous national and international competitions, at which he was always awarded a prize. Alessandro Ciciliati favours the models of the Ferrarese school led by Ettore Soffriti, with whom he feels a strong connection. His continued research in the field of acoustics has led to the development of a method of design that consistently results in a powerful, yet round, well-carrying sound. As a result of the particular consideration taken in the choice of woods (which are stored for around 15 to 20 years), the attention to detail (scroll, purfling and f-holes) and the expressiveness of form and varnish, Ciciliati’s instruments are highly valued by important orchestras and chamber music ensembles. Pauline Hoffmann won first prize at the Jugend musiziert competition of Germany with her Ciciliati violin in 2016, category: violin solo. 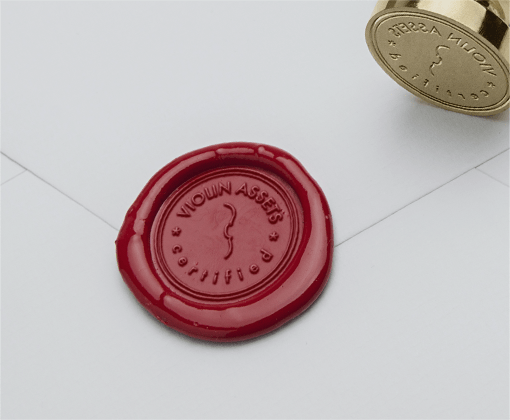 “VIOLIN ASSETS certified” is the seal for the instruments that are suitable for investment. exclusively developed valuation model designed to ensure the investment quality. that are divided into five quality levels.